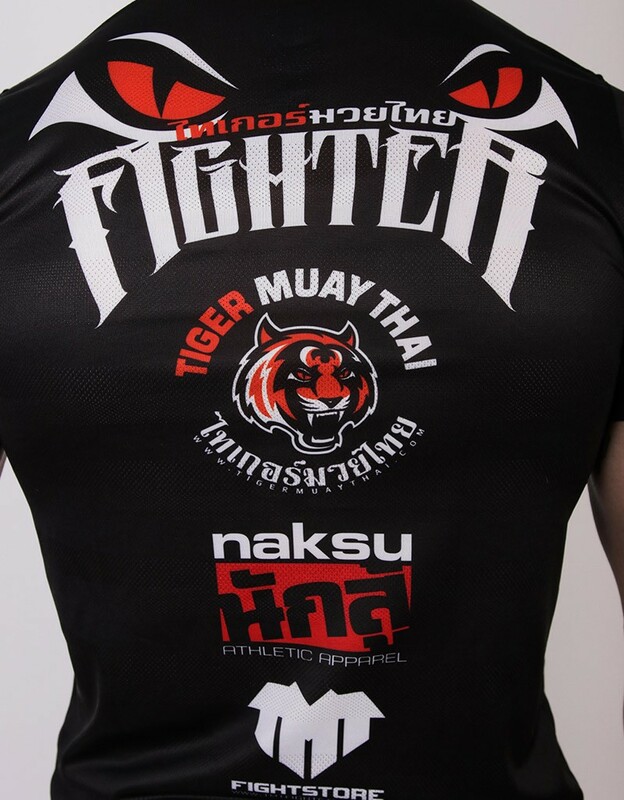 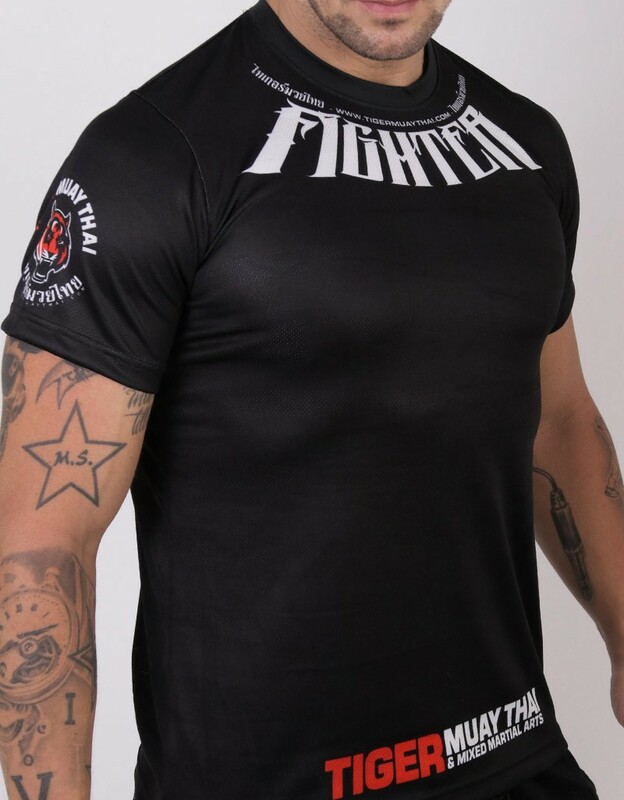 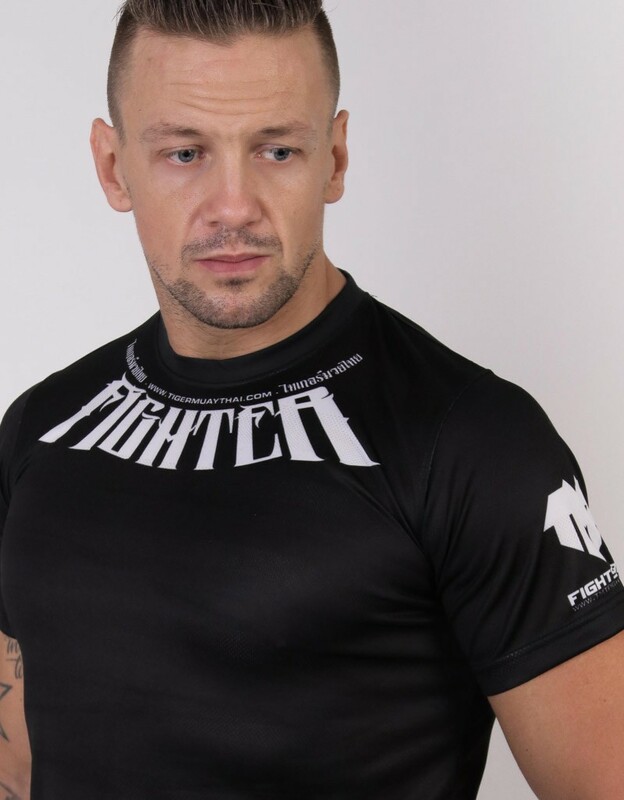 Tiger Muay Thai T-shirt "TMT Fighter" in a updated 2017 version in our premium material Jacquard Air Flow in Black. 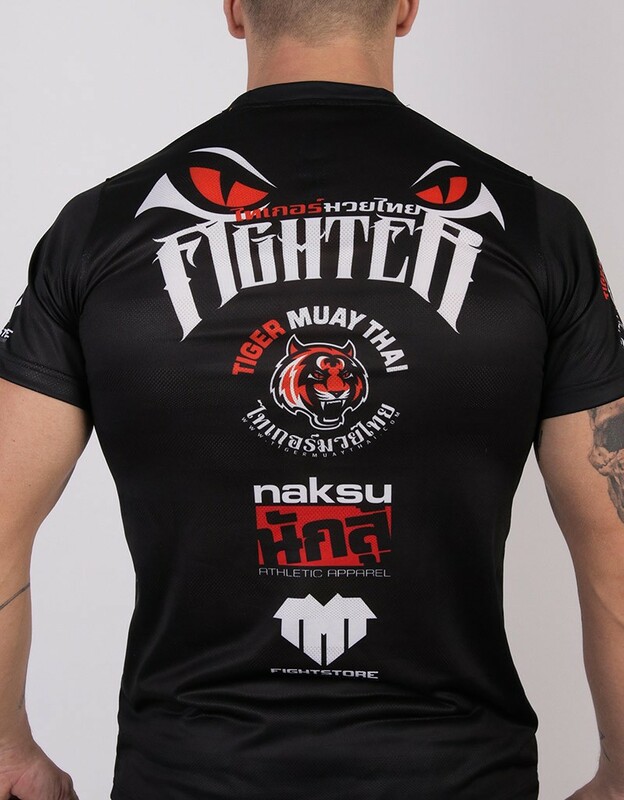 Tiger Muay Thai T-shirt "TMT Fighter" in a updated 2017 version in Black. This t-shirt is in our premium material Jacquard Air Flow, a high quality and durable material in 100% Micro Polyester. 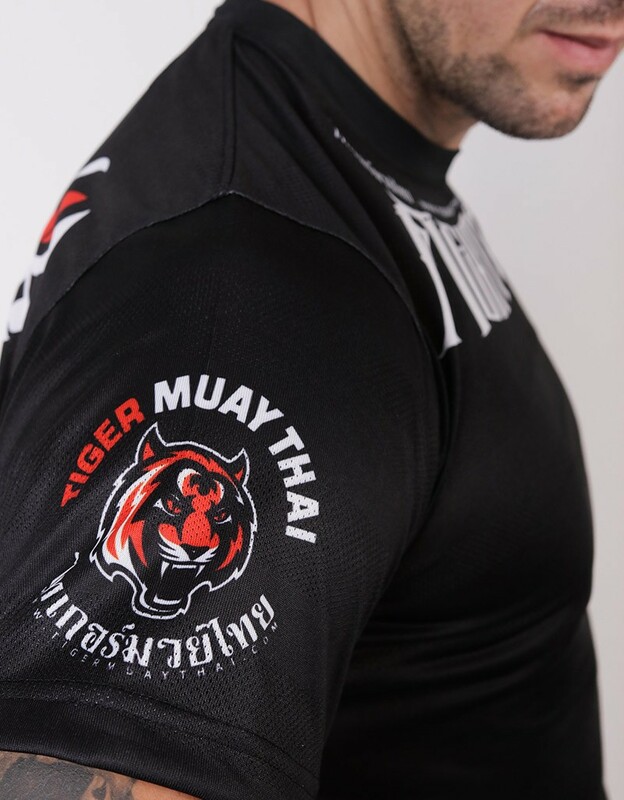 Breathable and dries quickly with rows of woven mesh texture for maximum ventilation.